College of Physicians & Surgeons (CD-H); Department of Pediatrics (DRB), Montefiore Medical Center; Department of Orthopedics (TSB, WNL, ND), Columbia University Medical Center; and Athletics Department (JDG), Department of Neurology, Taub Institute for Research on Alzheimer Disease and the Aging Brain (JMN), and G.H. Sergievsky Center (JMN), Columbia University, New York, NY. The circled numbers included in the boxes at many of the endpoints correspond to the patient case numbers described in the prior section. 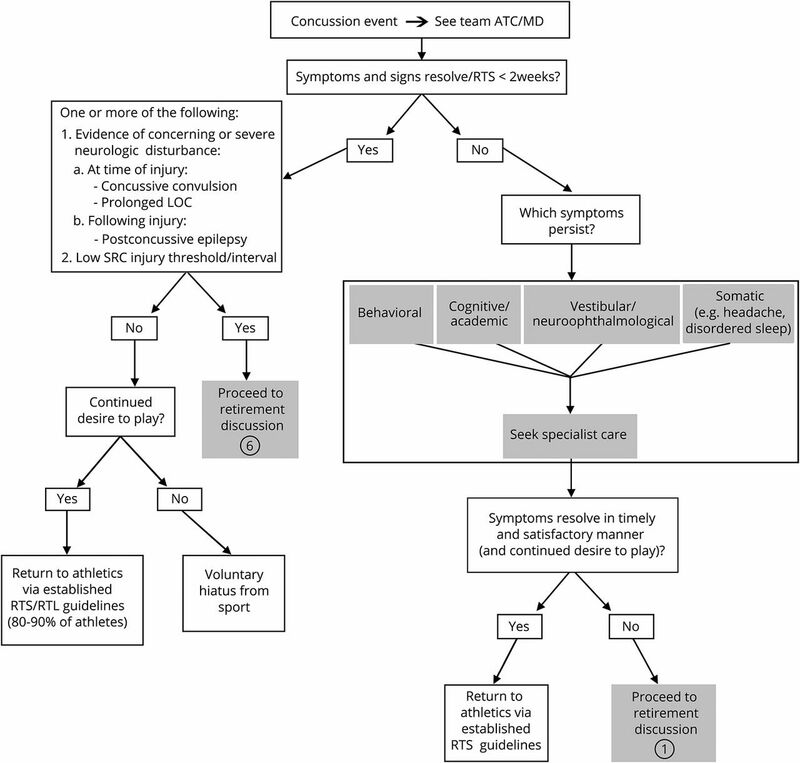 LOC = loss of consciousness; RTL = return to learn; SRC = sports-related concussion. The circled numbers included in the boxes at many of the endpoints correspond to the patient case numbers described in the prior section. aIdeally, athlete is asymptomatic at time of discussion. bReference the “Rule out preexisting” box located at the top right of the figure. 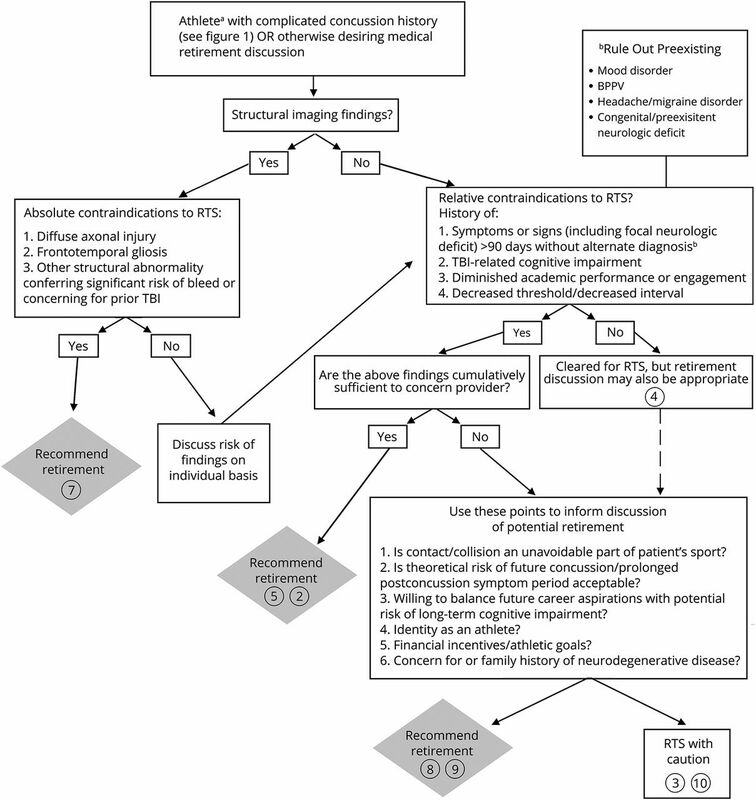 BPPV = benign paroxysmal positional vertigo; RTS = return to sport; TBI = traumatic brain injury.